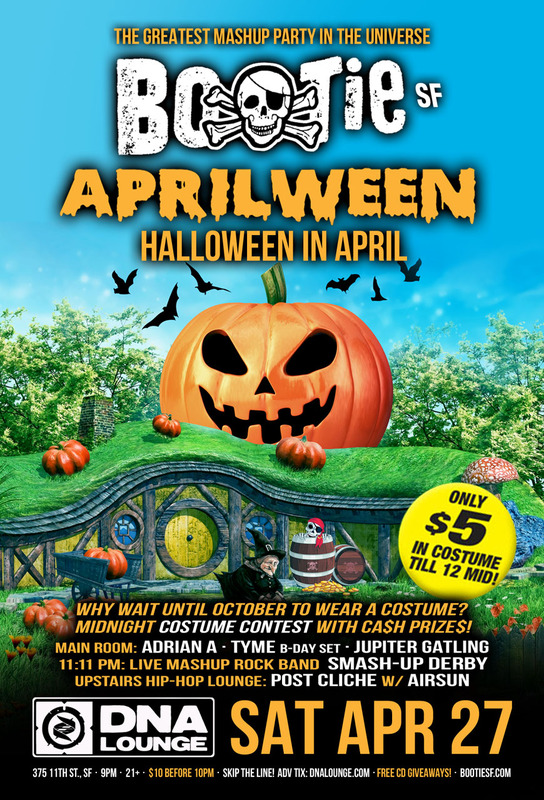 Bootie SF – APRILWEEN: Halloween in April! It's Bootie’s favorite made-up holiday -- it’s APRILWEEN! Why wait until October to wear a costume? Midnight Costume Contest with ca$h prize$! 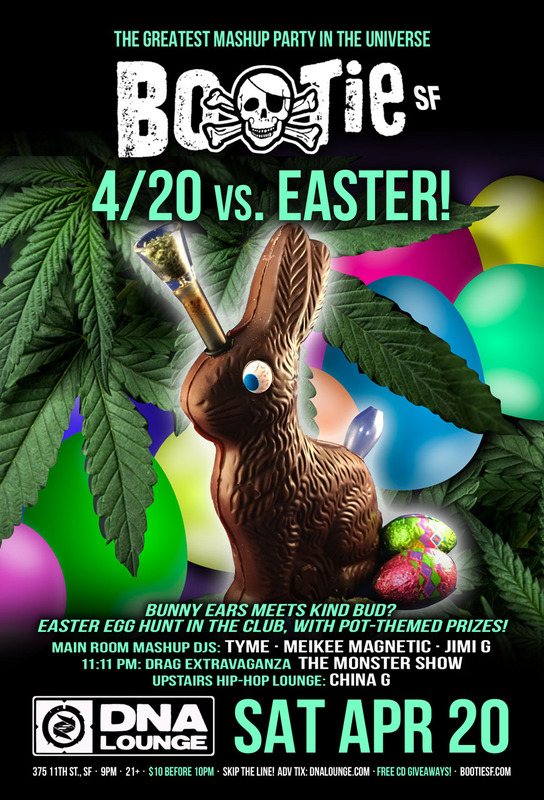 It’s a ghoulishly good time as we throw down a spooktacular costume party, filled with monster mashups and a spooky springtime set from live mashup rock band Smash-Up Derby! Plus a special birthday set from DJ Tyme! 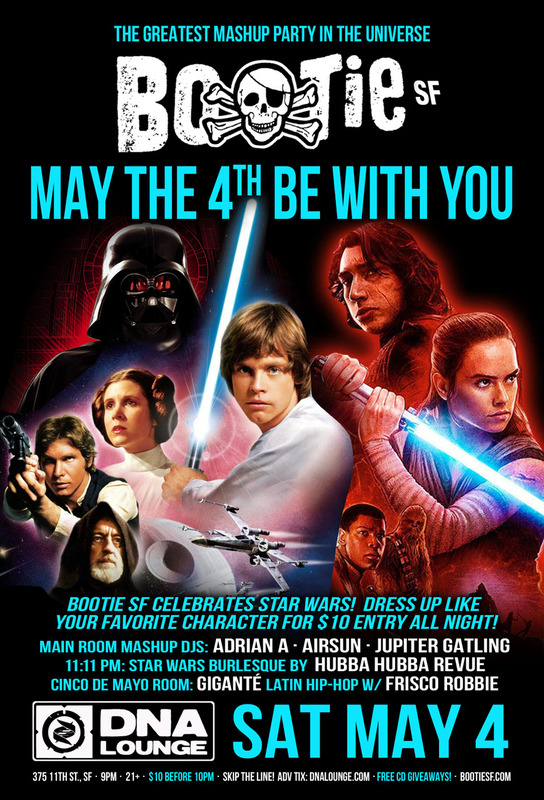 Bootie SF celebrates Star Wars with the best mashups in the galaxy! Dress up like your favorite character for $10 entry and get there by 11:11 PM for Hubba Hubba Revue performing a Star Wars-themed burlesque show! Meanwhile in the upstairs room, it’s Cinco De Mayo, as Giganté takes over with latin hip-hop!